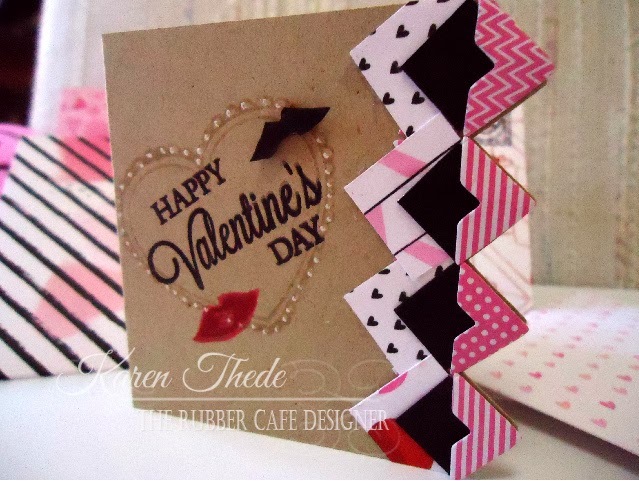 The Rubber Cafe Design Team Blog: Happy Valentine's Day - "Love Fest" from The Rubber Cafe' Design Team! 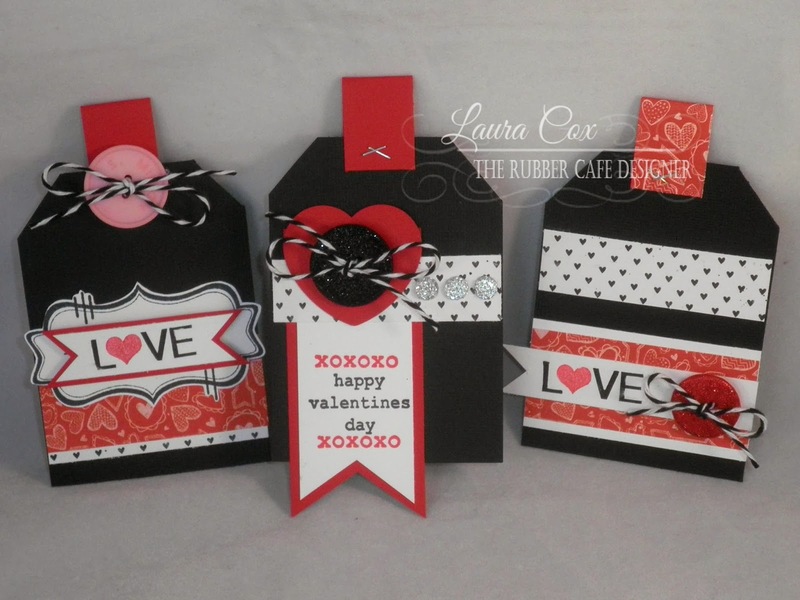 Happy Valentine's Day - "Love Fest" from The Rubber Cafe' Design Team! Today the team got together to share a bunch of 'Love' and special 'eye' Candy for you all! So sit back- and enjoy! More details will be available on each Designer's Blog so be sure to check out each of their blogs as well! 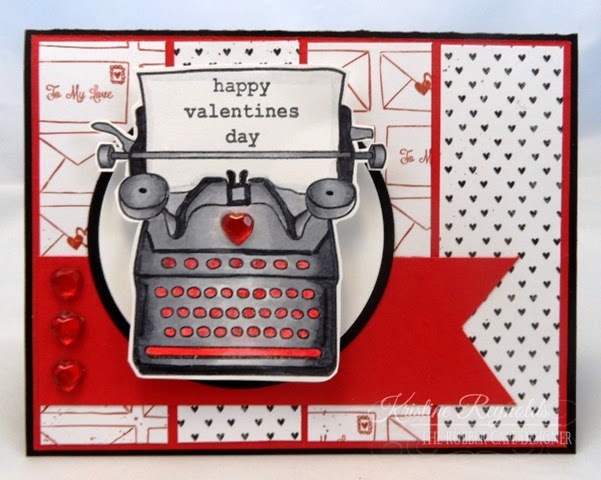 To kick it off - Karen is sharing some 'sweet' 3x3 Valentines - featuring stamps and products from our January Creative Cafe' kit. I made this in a set of four and made print envelopes to match! 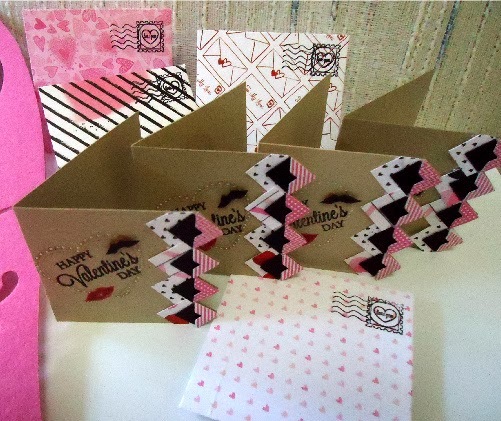 Head over to my blog By Design to see my the envelope tutorial. Here are some more cards again featuring stamps and product from January's Creative Cafe' kit, I have to say the Design Team really had fun with this one! 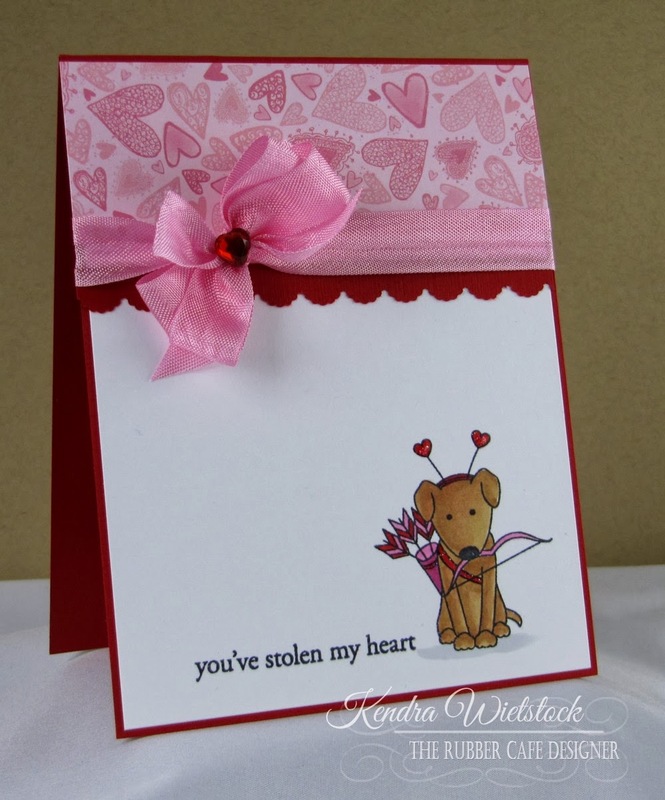 Kendra is featuring the 'Cupid Pup' image from "You've Stolen my Heart". 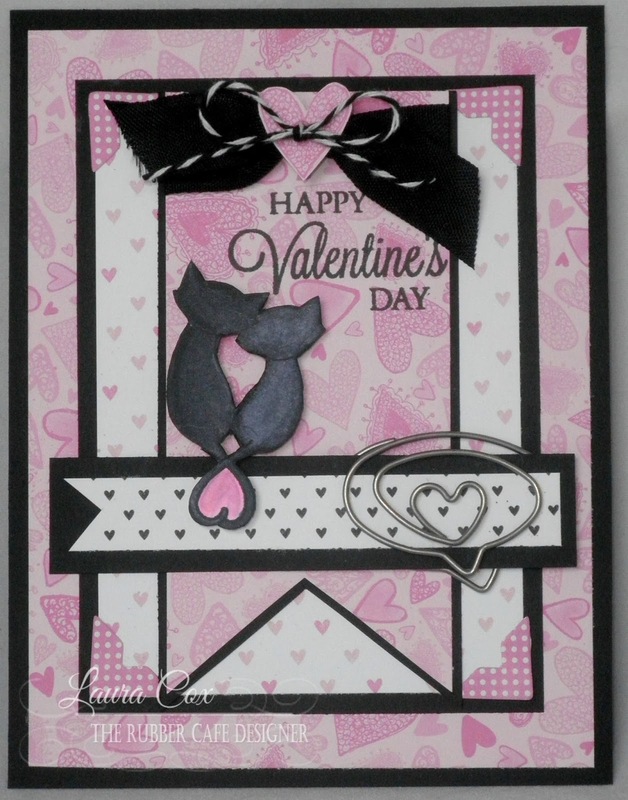 Next Laura's kit project uses these loving felines in a yummy card complete in Pinks and Black. 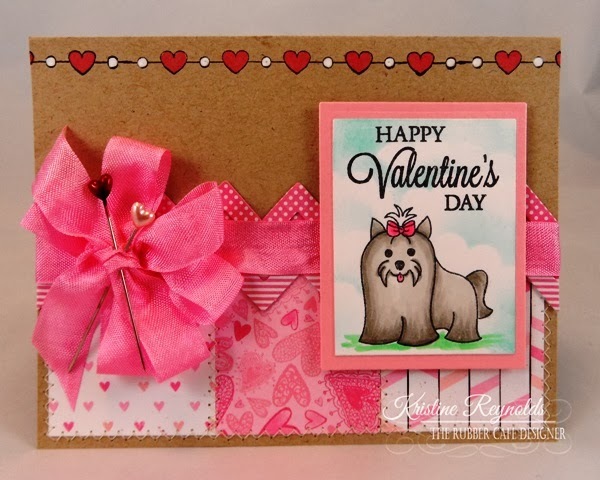 And I love the this card Kristine made she also used those fun pink photo corners in a fun chevron pattern in the center of her card! 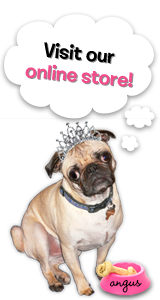 Check out her blog here for more details! 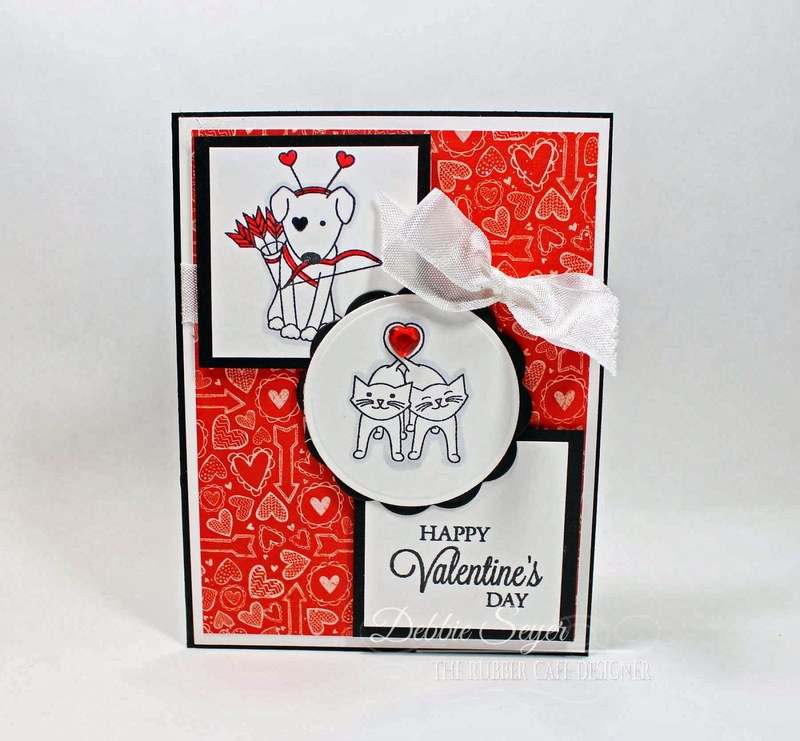 Debbie's card features both the Cupid pup and those loving felines! Take a Peek in her Stamping Room for more details. And just check out this sweet set of tags Laura created using stamp faves Remember the Moments and Just My Type from The Rubber Cafe' along with papers and embellishments from the January Creative Cafe kit. Add in some Glitter (check out the buttons - and some Scrap Happy Glue helped finish them off! 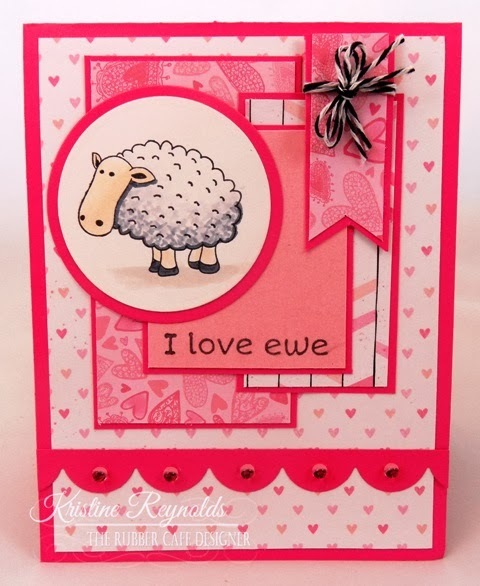 Kristine has one more card using the I Love Ewe set, created all in pink makes anyone feel special! Finally last but not least Dawn Rene as a couple of fun treats to share! second she's create another gorgeous tag featuring Script Background and Pictures Framed. Thanks for stopping in! Hope your day is especially Sweet!! Thanks everyone! I loved it all- have a great Valentines day! All these projects are just awesome!!!! Well done ladies!! !